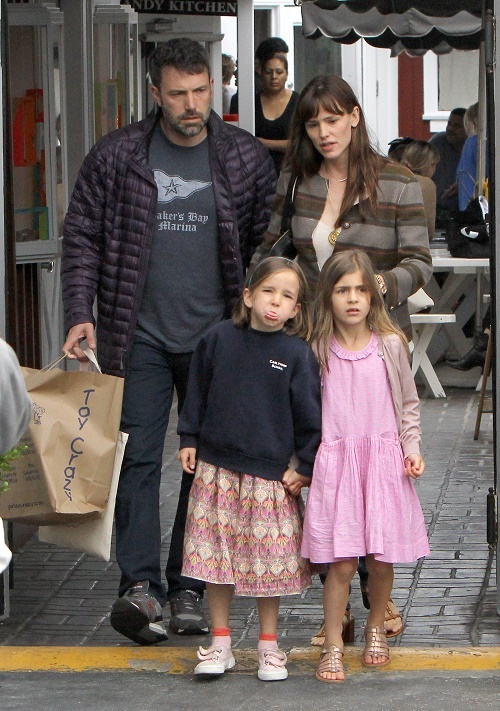 Jennifer Garner, Ben Affleck Divorce: Jennifer Seeks Full Custody Of Kids – Doesn’t Trust Cheating, Gambling Husband With Them! Jennifer Garner wants a divorce from Ben Affleck – and she also wants full custody of their three kids too! Jen and Ben are supposed to celebrate their 10th wedding anniversary on June 29, but various news outlets are reporting that Jennifer Garner will have filed for divorce by then. Apparently, a decade of her husband Ben Affleck boozing, gambling, and allegedly cheating on her have taken a toll and Garner wants out! It sounds like Jennifer Garner and Ben Affleck’s divorce is really happening this time – and if Ben doesn’t play his cards right he could be completely cut out of his kids’ lives. Do you think Jennifer Garner is being unfair? Or if you were in her position would you try to get full custody too? Let us know what you think in the comments below! Jennifer Garner and Ben Affleck Divorce: Cheating, Gambling Couple Head For $150 Million Battle?